As America’s birthplace, Philadelphia is the nation’s only UNESCO World Heritage City. Where else can you walk from the sites where political luminaries debated standing up to a king to the home of the largest collection of Rodin sculptures outside of Paris before making your way through a giant-sized human heart? Philadelphia’s art, music, film, design, fashion, performance and culinary energy are thriving.Want to make some memories? Philadelphia is here for the making. Visit the Rocky Steps outside the Philadelphia Museum of Art which is the site of the famous running of the stairs by Rocky Ballboa played by Sylvestor Stallone in the "Rocky" film series. Walk or run up to top step to enjoy the amazing view of Philadelphia as seen from this Philadelphia Art Museum entrance. Eastern’s massive, medieval frontage stands in stark contrast to it’s church-like interior. Opened in 1829 and known for its grand architecture and strict discipline, this was the world's first true "penitentiary," a prison designed to enthuse penitence, or true regret, in the hearts of convicts. Once the most famous and expensive prison in the world stands today in ruin, a haunting world of crumbling cellblocks and empty guard towers. Its vaulted, sky-lit cells once held many of America's most notorious criminals, including bank robber "Slick Willie" Sutton and gangster Al Capone. A trip to Eastern State includes an audio tour narrated by Steve Buscemi, hands-on experience that allows visitors to unlock an escape-proof cell door, history exhibits in addition to other activities. In the fall, Eastern State also offers one of the scariest haunted houses in the country, Terror Behind the Walls. Franklin Institute is a premier science center offering exhibit experiences and programs that inform and inspire. Interactive exhibits include Space Command, Sir Isaac's Loft: Where Art Physics Collide, The Franklin Air Show. Two-stories high, the Giant Heart would be the accurate size for a 220-foot tall person —someone as tall as the Statue of Liberty! For more than half a century, walking through the Giant Heart has been a ritual of passageway for children in Philadelphia. No visit to The Franklin Institute would be complete without visiting the icon that generations love with all their hearts! Learn how to keep your heart in tip-top shape as you explore this 5,000 square foot exhibition. 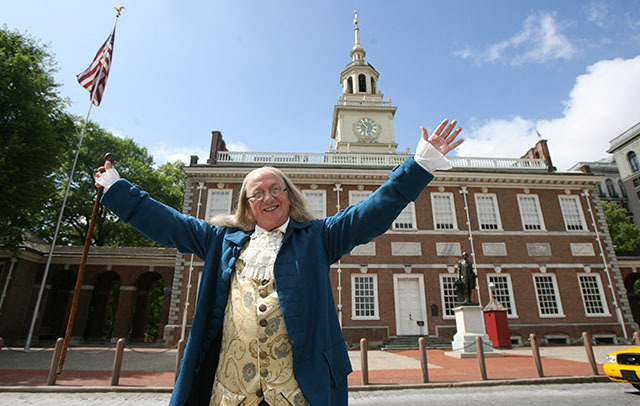 As America’s birthplace, Philadelphia is the nation’s only UNESCO World Heritage City. 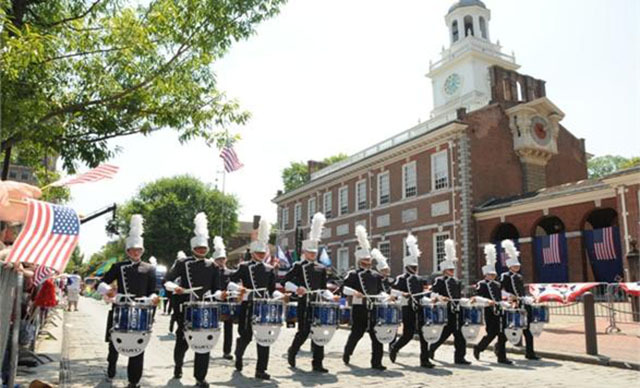 Known as the birthplace of American democracy, Historic Philadelphia’s Independence National Historical Park (INHP) is located on the site of many of the seminal events that carried the nation through its founding as a global leader of democratic ideals. INHP welcomes more than 3.5 million visitors every year. Many of these visitors line up to see what is the park’s most visited and most famous attraction, the Liberty Bell. The Liberty Bell Center, Independence Hall, Congress Hall, the New Hall Military Museum, Franklin Court, the Bishop White House and the Graff House are just some of the buildings that make up Independence National Historical Park — all of which are free. Parks are safe, with activities part of the daily life of the people and families who come to relax, eat, play and stroll. Satisfy your groups' appetites with delicious food from more than 80 merchants at Reading Terminal Market, an authentic 115-year old farmers market in the heart of Center City. The historic Reading Terminal Market is home to 80 renowned merchants who offer the best of Philadelphia's famous specialties. Made with the finest and freshest ingredients, visitors to the Terminal have access to an unparalleled variety of international and local cuisine, including Pennsylvania Dutch specialties; mozzarella cheese made on site at the Valley Shepherd Creamery; and winner of Travel Channel's Adam Richman's Best Sandwich in America, Tommy DiNic's roast pork sandwich. After grabbing a bite to eat, visitors to the Terminal can take home a myriad of items to further their experience including fresh, local groceries; unique regionally themed souvenirs; and Philadelphia-based cookbooks. The Reading Terminal Market, established in 1892 at 12th and Arch Streets, is the nation’s oldest continuously operating farmers’ market. 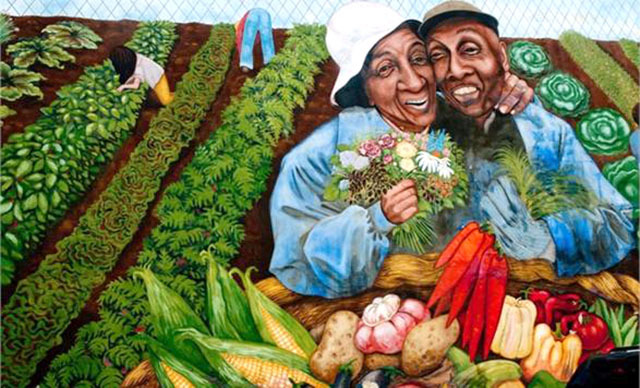 Travel around the world's largest outdoor art gallery by taking a Mural Arts Tours, a rare peek into the collection of over 3,600 murals, with a variety of both public and private tours available, including trolley, walking, train and step-on. All tours include detailed information about the murals themselves, the artistic process and the history of the diverse communities that serve as the backdrop for this unique art form. King of Prussia Mall is the premier shopping destination of the East Coast, featuring seven world-class department stores and more than 400 shops, boutiques and restaurants. King of Prussia boasts more retail space than anywhere else in America and features stores that cannot be found elsewhere in the region. The Court and the Plaza at King of Prussia combine to make the largest mall on the East Coast. A veritable shopper’s paradise, the mall features eight department stores (including Neiman Marcus, Nordstrom, Bloomingdale’s and Macy’s), more than 40 eateries (including Morton’s and The Cheesecake Factory) and nearly 400 specialty shops (including Burberry, Apple, Louis Vuitton and Sephora). You’ll find everything you need (and probably a few things you don’t) at this one-stop shopping extravaganza.